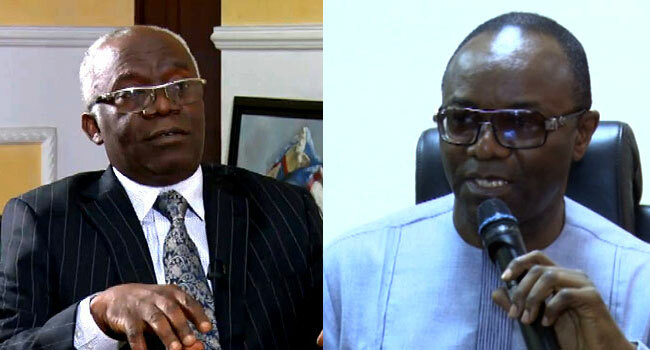 Human rights lawyer and Senior Advocate of Nigeria, Mr Femi Falana, has asked the Minister of State for Petroleum Resources, Dr Ibe Kachikwu, to provide him with information regarding the “loss of $60 billion oil revenue”. He made the request in a letter addressed to the minister and dated April 10, 2019, a copy of which was sent to Channels Television on Sunday. The senior advocate said the Federal Government has refused to collect the said amount from International Oil Companies (IOCs) as at August 2017. He urged Kachikwu to provide details on how the nation lost $60 billion oil revenue from non-implementation of Production Sharing Contract (PSC) terms between the government and the IOCs. Falana noted that he had informed the minister while he was the Group Managing Director of the Nigerian National Petroleum Corporation (NNPC) in 2015 about the non-implementation of the PSC terms. He added that Kachikwu had also confirmed the huge oil revenue loss and blamed it on “public officials”. According to him, the acting chairman of the Revenue Mobilisation Allocation and Fiscal Commission, Mr Shetima Bana, also made a confirmation in January 2019. The lawyer, therefore, asked the minister to provide the information he requested, in with the Freedom of Information Act. He gave Kachikwu a seven-day ultimatum to make the information available, stressing that he would be forced to seek a court order should the minister failed to do so. The Chief of Staff to the minister, Oge Modie, acknowledged receipt of Falana’s request in another letter signed and dated April 11, 2019.